Great upgrades for the classic Mora knife. They aren’t pretty, but are iconic in the bushcraft community. Mora knives (the brand name is Morakniv®) are actually a must-have for any true bushcraft lovers: these knives are simple, practical with excellent cutting properties at very inexpensive prices. Recently Morakniv® has also developed a new line of knives with great attention to the bushcraft world, if you are interested go to this page http://www.moraofsweden.se/products/adventure. 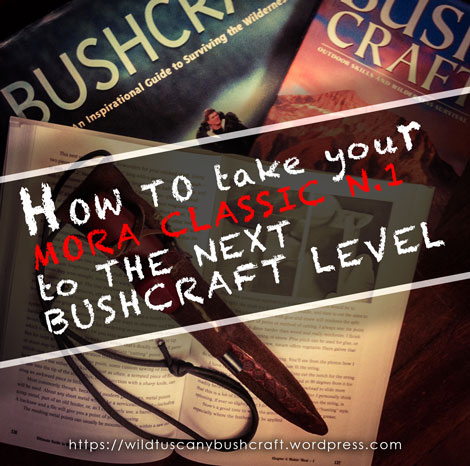 But two of the most popular bushcraft knives of Mora of Sweden are the oldest Mora models: the Mora Classic Number 1 and 2. If your haven’t in your equipment one these knives, i must say… buy it!